For fans of the 1994 critical darling about two Aussie women who awkwardly search for love and happiness, a musical based on comedy-drama has been a long time coming. Hitting the stage Nov. 6 through Dec. 30, 2017, “Muriel’s Wedding the Musical” will enjoy its first world-premiere run at the Roslyn Packer Theatre in Sydney, Australia, Global Creatures CEO Carmen Pavlovic announced on Thursday. Otherwise, the musical appears to be following the film’s familiar story arc, with Muriel Heslop (originally played by Collette) feeling stuck in her sleepy town of Porpoise Spit, dreaming of the perfect wedding, complete with white dress, church, and loads of much-needed attention. Original music for “Muriel’s Wedding the Musical” is being written by award-winning singer-songwriters Kate Miller-Heidke and Keir Nuttall, as their songs will be joined by the ABBA tunes so famously featured in popular Australian film (which were originally written for ABBA by Benny Andersson, Björn Ulvaeus and Stig Anderson). The show, which has yet to announce a cast, is being produced by Global Creatures and Sydney Theatre Company (STC). 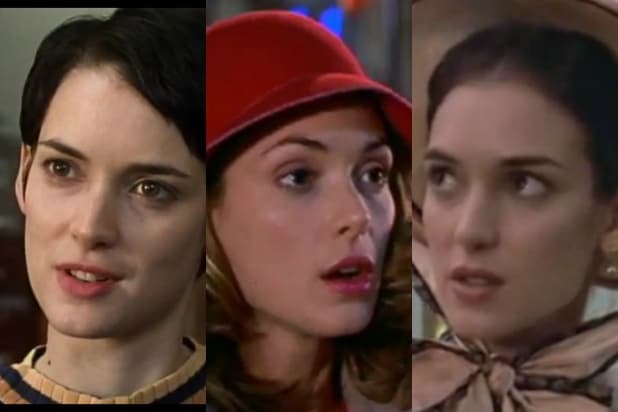 Over the last 30 years, Winona Ryder has played everything from a disillusioned high schooler to a stressed-out mom. Check out how she's evolved onscreen - and off. Ryder was just 14 when she made her screen debut in this coming-of-age story, playing the best friend to a lonely high-school nerd. Ryder's big breakthrough came in Tim Burton's comic horror fantasy "Beetlejuice," playing goth teen Lydia, whose parents are haunted by an irritating spirit played by Michael Keaton. One of the biggest cult films of the late '80s, with Ryder (opposite Christian Slater) playing an intelligent high schooler battling conformity and shallowness among her peers. Ryder costarred with Dennis Quaid in this biopic of early rocker Jerry Lee Lewis. She played Myra Gale Brown, a 13-year-old second cousin whom Lewis eventually married. Ryder played Cher's daughter in this comedy about an eccentric family in 1960s Massachusetts. Ryder went blonde to play the love interest of the title character, the artistic -- and very unique -- loner played by Johnny Depp. Ryder went on to have a tempestuous affair with her "Edward Scissorhands" costar Johnny Depp, who got a tattoo on his right arm that read "Winona Forever." After the pair broke up, he altered it to read "Wino Forever," which seemed easier to live up to. Francis Ford Coppola's retelling of the Gothic vampire novel, with Ryder playing the ingenue Mina who's victimized by Gary Oldman's title character. Ryder played the American society girl wooed by Daniel Day-Lewis in this adaptation of Edith Wharton's novel, directed by Martin Scorsese. Ryder scored an Oscar nomination for her work. In 1993, Ryder offered a reward of $2000,000 for the safe return of Polly Klaas, a 12-year-old girl who disappeared from her mother's home in Petaluma, California, where Ryder was raised. Klaas was later found strangled. Ben Stiller's directorial debut and a quintessential Gen X document, with Ryder among a group of Houston college grads struggling with life and love. The fifth screen adaptation of Louisa May Alcott's novel about an East Coast family just after the Civil War. Ryder played the emotional Jo, an aspiring writer, a classic role for which she was again nominated for an Oscar. Ryder dove straight into the sci-fi genre with this fourth installment in the "Alien" franchise. She played Annalee, a spaceship crew member with a secret. Ryder was a patient in a psych ward in this adaptation of the bestselling memoir, for which co-star Angelina Jolie won an Oscar. A tearjerker directed by Joan Chen, with Ryder playing a young woman who falls in love with a middle-aged man played by Richard Gere. Ryder's career was temporarily sidetracked in 2001, when she was arrested for shoplifting at Saks Fifth Avenue (here she appeared in court in 2003 with her lawyer, Mark Geragos). She later called the arrest "the best thing that could have happened" as she reassessed her career and life values. A rare foray into broad comedy for Ryder, who played the tabloid reporter chasing Adam Sandler in this remake of "Mr. Deeds Goes to Town." Ryder played a drug supplier named Donna in this dystopian thriller, which was shot on digital film then converted to animation through a rotoscope technique. For this reboot of the fabled sci-fi franchise, Ryder was given the small but key role of Amanda Grayson, Spock's mother. In this intense psychological drama, Ryder played an embittered former ingenue ballerina whose spotlight has been taken by a younger dancer played by Natalie Portman. Ryder played Kevin James' wife in this comedy about a pair of buddies (James and Vince Vaughn) whose schemes to promote their auto design business go awry. Ryder has returned to her roots in this '80s period thriller, this time playing a suburban mom stressed by her son's disappearance.